Landscape lighting projects move from simple architectural and green scape highlighting to full blown works of art we call Nightscaping®. Dramatic yet tasteful, bold yet naturally integrated into your outdoor lighting scenes, the use of shadows can create depth, interest, and life even in the dullest of landscapes. Our handcrafted steel bollards are amazing works of art when viewed by day. 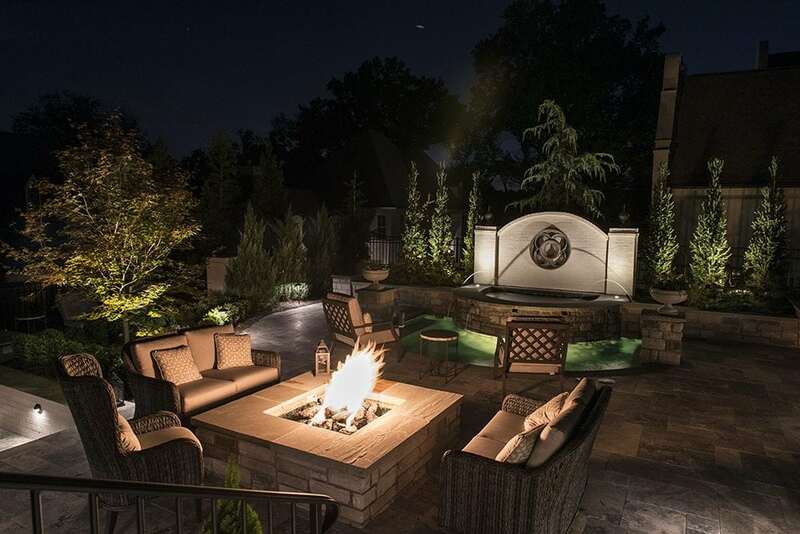 At night these modest design masterpieces transform your property into a wondrous paradise. Dramatic contrast can also be used to emphasize or reduce architectural features and make ordinary shrubs and trees appear as perfectly placed and balanced organic focal points. 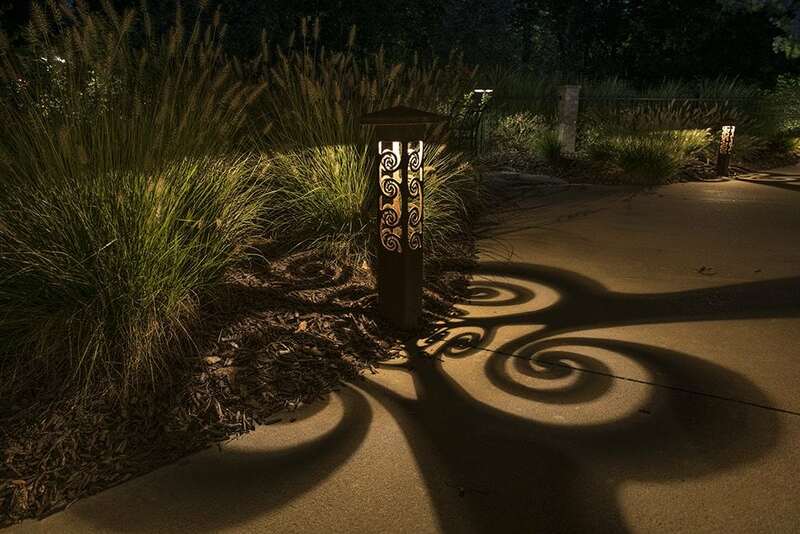 Organic shadows provide depth and contrast to your properties landscape lighting designs. During the day. You may notice how the light from the sun or a bright full moon comes down through the leaves of trees casting natural shadow patterns onto the ground. That interplay of shadow and light gives you a better sense of the depth of your outdoor spaces. Our designers are trained to recreate natural nightscapes that rival even the most breathtaking moonlit nights. Lighthouse® landscape lighting designers create these natural scenes while keeping the source of this light mystery. The contrast between shadows and light can be used to create a whole new world. Even the most well-conceived landscape designs may contain undesirable elements. 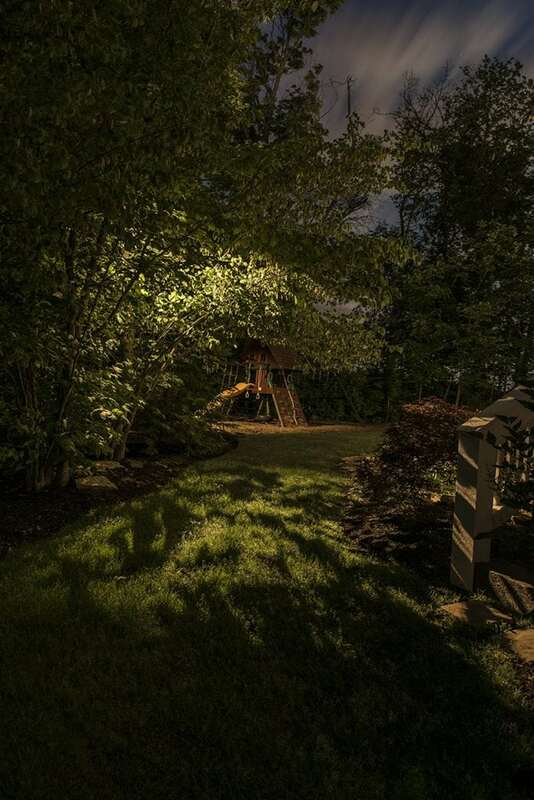 Through shadows and contrast your Lighthouse® landscape lighting designer can reimagine your property in a way that highlights its most appealing features while erasing any landscape or architectural blemishes.